For use with business or voucher size checks. Tamper Proof and Self-Sealing. 3-9/16 H x 8-3/4 W.
For Quicken® and QuickBooks® or for general deposit-slip printing. Three deposit slips per page, micro-perforated at 3.5", 7" and 10.5". For use with all VersaCheck and SmartCheck Products. 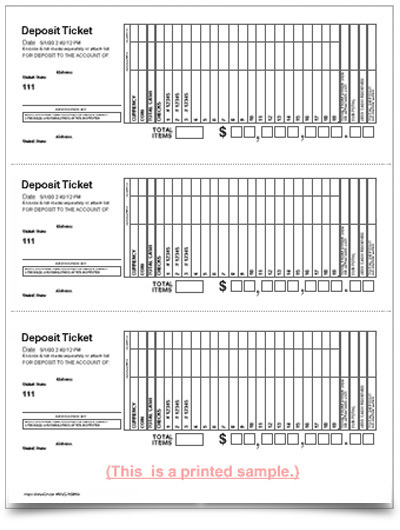 Make deposit slips for Quicken and QuickBooks, or for general deposit-slip printing. 750 slips per box. 3 lbs shipping weight. Compatible with Avery Labels. Save up to 65%! Labels on 8½ x 11 sheets work with inkjet and laser printers. 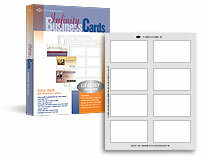 are clean-edge perforated on arctic white, smudge free card stock. precision printed forms work with Quicken, QuickBooks, Microsoft Money/Office, MyDeluxe Invoices & Estimates, VersaCheck, etc.